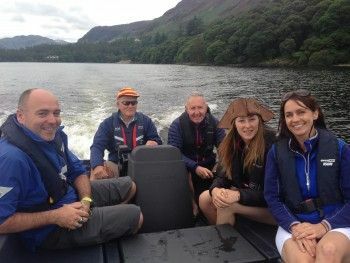 Lakeland Rowing Club received a grant of £3,150 from Cumbria Fund, which was used to purchase a new safety boat to aid with coaching at their base on Derwent Water. The lake can be prone to changes in conditions so the club need to keep a close eye on their rowers, particularly if they are inexperienced. The club has also seen a rise in demand for lessons so their previous practice of loaning and hiring safety boats was no longer sustainable. The club offers ‘Learn to Row’ courses to individuals aged 14 and above. Those who attend are given the opportunity to learn to row in a safe controlled environment with qualified Rowing coaches.